Kubi: When was Sigma Electric started? Mr. Sajjan Agarwal: In Nov 1981 Sigma was started. Kubi: How did you come up with this concept to create Sigma electric? Mr. Sajjan Agarwal: When I was in college, I had started dreaming of setting up one day my own manufacturing plants in India and selling products in the U.S. Initially, I tried buying engineering products from India and selling here in the U.S., but that did not work because of poor quality and deliveries. Then, I thought of going ahead and started my own manufacturing plant in India with small financial help from my father. I started in metal processing industry, as there was abundance technical talent available in India. I also felt, one day these kinds of industries will move away from U.S. to countries like India, Brazil, and China as U.S. was migrating towards new technologies as computer etc., in late 70’s. Kubi: How many employees are working now? How do you feel that you have created employment opportunity for so many people? Mr. Sajjan Agarwal: In U.S., we have about 150 people. In Pune we have 1000 people and Jaipur we have 350. Totally we have about 1500 people. It always feels good working with the people. It is very satisfying that I have been able to make a difference. Kubi: What do you see as the first and foremost reason Sigma Electric has been able to not only survive, but thrive, when so many others in this industry are failing? Mr. Sajjan Agarwal: One of the jobs of CEO is to continuously look beyond the 5 years down the road and continue to do visionary things that the business model will survive; today you may be doing well but 5 years down the road what will happen? Sigma model is based on outsourcing. In 80's, I was lucky I started thinking that lot of basic industries will move towards China and India. It is similar what is happening now in IT industry. China took advantage of manufacturing. But I felt India was better choice, because of people and technology. It was unfortunate that Indian government is taking longer time to reform infrastructure. Last 5 or 6 years India is being seen as manufacturing destination. Kubi: What would you say are the top three skills needed to be a successful entrepreneur? Mr. Sajjan Agarwal: First and foremost is Passion. That’s true for anything you do in life, whether you are an artist, or an entrepreneur, without passion you cannot be creative and thus successful. The next one is to be hardworking and persistent. People give up very quickly when they fail. However, as you are persistent in pursuing your goals, you should have an open mind and continuously learn what you are not doing right. Third is confidence and optimism. I believe these are important qualities to become a successful entrepreneur. Kubi: What qualities do you look in a person before you hire. Mr. Sajjan Agarwal: Sigma electric has a great team. When I hire, I look for two things. Does the candidate has passion to do the job, does he have fire in belly. The second character that I look is that, is he open to learn. If he thinks he already knows everything then he wouldn’t listen and learn. You cannot be a good teacher if you are not a good student. Kubi: What is your advice for new Entrepreneurs? Mr. Sajjan Agarwal: They should stay focused on their main goals. A lot of issues come up every day for an entrepreneur and a lot of time he gets lost between what I call critical, major and minor issues. Having clear thinking and focusing on the critical issue is the most important. Kubi: Who has been your greatest inspiration? Mr. Sajjan Agarwal: Greatest inspiration has been Mahatma Gandhi, though nothing to do with business. 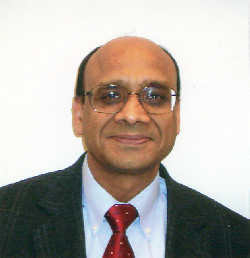 Mr. Sajjan Agarwal: Very Exciting journey. Kubi: What is your favorite aspect of being an entrepreneur? Mr. Sajjan Agarwal: Favorite aspect is people and connecting with people. Providing a platform for them to excel and achieve their dream in the organization. When I started, I was hiring youngsters, lot of them were just graduated from ITI (not IIT) or associates. You could see that dream in their eyes and started with very small. But in 7 to 8yrs we grew to a large company. All my associates have a house. Having own home for a young person of 22 to 25 years is very big thing. Parents coming from village are very happy about their son or daughter who is doing well. It’s all about people. Kubi: How do you manage both businesses in India as well as US? Mr. Sajjan Agarwal: There is always a woman behind a successful man. My wife Asha helped in taking care of children. Asha is a big support and it is a lot of sacrifice. I had to travel to India very often and had to stay there for up to 4 or 5 weeks. She is a great supporter and I am able to manage with her help. Kubi: You are working hard and providing financial support to under privileged people in India. Please tell us more about it. Mr. Sajjan Agarwal: We started Durga Devi trust. We help needy students who want to go to the college after their high-school but can’t afford. Initially we give them scholarship to students. Then a student came up with an idea. Instead of providing funds, they wanted us to help in getting a loan from the bank? We help them get a loan by paying interest for first 4 years and guarantying the loan. When student get the job, student will pay back. Currently we are covering 200 students. Our goal is to help 1000 students in next couple of years. We help people near our plants in Maharashtra and Rajasthan. We have science lab centers. Schools all around can come there and students can make use of the labs. Other project is Disha. It is a non-profit organization and it does micro lending. We provide small loans to people in village area. We help them to be on their own and it has about 4000 micro loans. I have been part of it. Disha was started by Mr. Mohan Dharia, who is a well respected environmentalist, and social national leader. I have been thinking to do something similar in US and trying to come up with a program which we can scale. Our interest is to help underprivileged children for education and helping women. Kubi: You have made huge financial contributions to HSNC. What is the inspiration beyond this generosity? Mr. Sajjan Agarwal: I have been member of HSNC. Where ever you live, you have to give back to the community. It is to help temple grow and to provide facilities for our children and community for gatherings, religion and functions. As a community member, I am doing whatever I can do to support. Kubi: There are lots of common people who would like to help others, but have no direction. Please advice on this. Mr. Sajjan Agarwal: I am a common man too. It’s a lot easier to write a check than donating time. Biggest help is to volunteer and give your time. You may give million dollars but that is not bigger than somebody giving their time. Time is more valuable than money. Whatever one can give, whether time, money, which ever can help community. None is bigger or smaller. Many people are volunteering for different community programs and doing a great job by contributing their time. Notes from Kubi: Mr. Sajjan Agarwal lives in Cary with his wife Asha, sons Ankith and Rohit Agarwal. I was amazed by his modesty and down to earth nature. He is very gentle-hearted and polite person, which is the exact meaning of his name ‘Sajjan’. I am proud to be part of the same community that Sajjan belongs to.